A first look into Lee Seo Jin’s role as perfect news anchor Kang Woo Hyun in OCN’s upcoming drama “Trap” has been released. “Trap” will be the first of OCN’s “Dramatic Cinema” project. The project combines drama and film formats, using the keen production of a film and the high quality stories of a drama. OCN will collaborate with movie producers to produce the investigative thriller, which will tell the shocking tale of Kang Woo Hyun, who has fallen into an unknown trap. In the midst of viewers showing interest for “Trap,” OCN has released the first stills of Lee Seo Jin. The drama is garnering attention for its innovative methods and stellar cast, including Lee Seo Jin, who has returned to filming a drama after a long time. New stills have been released for OCN’s upcoming Trap which feature Lee Seo-jin (Marriage Contract) looking sharp in a gray suit. Set to air in the new year, Trap is a hard-boiled thriller about a successful anchorman who’s beloved by the nation with a loving family. However, in one ill-fated moment he is ensnared in a trap and loses everything. Directing will be helmed by Park Shin-woo (White Night) and Nam Sang-wook (Special Affairs Team TEN) will be writing. PD Lee Jae-gyu will be part of the creative team as producer, who worked with Lee Seo-jin in the past on Damo. Second teaser trailer added for upcoming OCN drama series “Trap” starring Lee Seo-Jin and Sung Dong-Il. The second teaser trailer is a character teaser of Kang Woo-Hyun (Lee Seo-Jin). He is well known & respected TV news anchor and asked to enter the political field. He then becomes trapped. In addition, above are the first still images of Lee Seo-Jin as Kang Woo-Hyun. “Trap” first airs February 9, 2019 in South Korea (takes over OCN’s Saturday and Sunday 10:20PM time slot after “Priest.”). OCN dramatic cinema 'Trap' has released the first still cut of Actor Seong Dong Il. Seong Dong Il`s character is the veteran detective of the old age who had a special point in the on-the-spot investigation. Dongguk, who once was a legend of the broadcaster. Sometimes, though, he may have an accidental nature, but the passion to devote himself to the on-the-spot investigation and the humanity that cares about his colleagues make him unable to hate him. Dongkuk, who was about to spend time with his family before his retirement, began to dig into the case of Kang Woo-hyeon (Lee Seo-jin), a national anchor, with unusual dedication and intention, revealing a shocking truth that nobody could have expected. "You have to reveal even 1% possibility"
Former veteran detective Dongguk (Sung Dong Il) announced publicly! I was caught in a dense hunt. 'Trap' Lim Hwa-yeong "Profiler to go studying ... I learned jiujitsu too "
Lim Hwa-yeong still cut was released for the first time. Main trailer added for upcoming OCN drama series “Trap” starring Lee Seo-Jin and Sung Dong-Il. 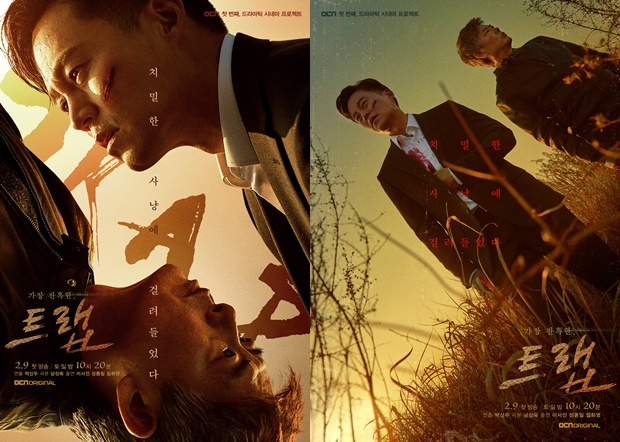 Caption in the trailer states in Korean “Disappeared Family” and later in the trailer caption states “I got trapped in an elaborate hunt.” Meanwhile, above and below are three main posters for the drama series. 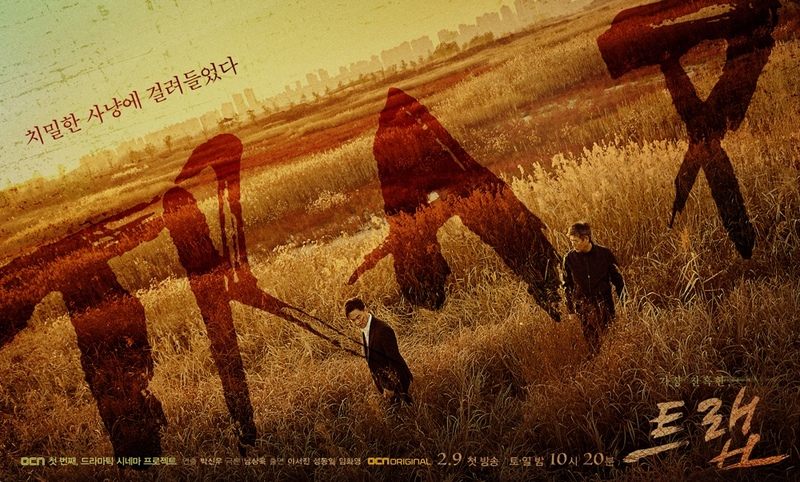 On the poster are Kang Woo-Hyun (Lee Seo-Jin) and Ko Dong-Kook (Sung Dong-Il). “Trap” first airs February 9, 2019 in South Korea. I’ve missed having Lee Seo-jin (Intimate Strangers) on my screen, as an actor or as himself in a Na PD show, so I’m excited to check out his newest drama, OCN’s Trap. The show marks his comeback to dramaland following 2016’s Marriage Contract, and I’m hoping Trap will make the wait worth it. It doesn’t hurt that the rest of the cast is pretty stellar, with Sung Dong-il (Your Honor) and Im Hwa-young (Sketch, Smart Prison Living) rounding out our main players. The teaser tells us that Lee Seo-jin has “fallen into an elaborate hunt.” And that “hunt” sounds like a literal hunt, with people carrying rifles in the woods, presumably to hunt down Lee Seo-jin as he continues to search for his missing family. The teaser ends with his son calling out for him offscreen as we see our hero heavily bandaged, crying out on a hospital bed. Talk about a foreboding ending. Lim Hwa Young of OCN dramatic cinema 'Trap' got into profiler Yoon Seoyoung.